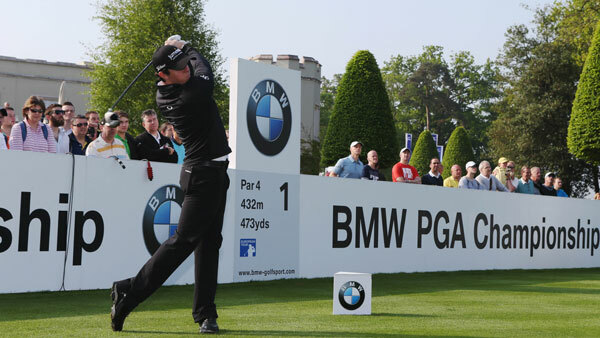 This week the European Tour takes place in England as the BMW PGA Championship gets underway on Thursday. It is the European Tour’s flagship event and the purse is a huge €5million, unsurprisingly the field is a world class one. As you’d expect the world number one and last year’s winner Rory McIlroy is the overwhelming favourite ahead of this week. The BMW PGA Championship has been held on the iconic West Course at Wentworth since 1984 and it is one of the tougher venues on the European Tour schedule. Wentworth was designed by Harry Colt who opened the course back in 1926 and Ernie Els has supervised some minor changes in recent years. It is a par 72 that plays 7,302 yards, this isn’t particularly long for a golf course nowadays, thus favouring the shorter hitters. I’m sure you will have noticed that some excellent players have won this event in recent years and that’s because Wentworth requires a solid all-around performance. The course is tree lined therefore a good week off the tee is imperative and I’ll certainly be looking to back those players who drive the ball well. It should also be noted that the West Course is susceptible to windy conditions, it is worth taking this into consideration before backing any players this week. Justin Rose – It is extremely hard to ignore Justin Rose this week, he is the second favourite and deservedly so. Justin finished second in The Masters not so long ago and he followed that up with a victory in the Zurich Classic, this suggests his game is in very good shape. This is an event that Justin would love to win and I’m sure he’s been working hard on his game. Rose has finished second twice in this event, thus suggesting that he enjoys playing the course and it suits his game. I rarely back the favourites in golf events but I’m confident that Rose will put in a good performance this week. Marc Warren – So far this year Marc Warren has really impressed me. The Scotsman has spent some time playing in American and I thought he’d struggle however that hasn’t been the case, he finished 17th in the WGC Cadillac Championship and 17th in the WGC Match Play. Both of these results suggest to me that Marc has been working hard on his game and playing some good results, therefore I can see no reason why he won’t perform this week. Warren has a very good record around Wentworth, he’s finished inside the top 30 in six of his last seven visits. This impressive record includes a second place finish in 2013, thus suggesting that he can win in this strong field. Seve Benson – This week’s longshot is Englishman Seve Benson who can be backed at a huge price of 200/1. Benson is a member of this week’s host course and those of you that play golf will know that this is a huge advantage. Last year he finished 21st in this event which is pretty respectable considering the quality of the field. Benson is still relatively young and I’m sure he can go well around his home course this year, he’s certainly improved as a golfer. This season Seve Benson has made eight out of ten cuts and has finished inside the top 20 on three occasions. Admittedly he has never won a European Tour event but he’s come close on a few occasions. Personally I think he’s worth chancing at a huge price of 200/1.